Merchant City is Glasgow's cultural, fashion and food quarter and you will find streets full of stately architecture, independent shop fronts, exciting gallery spaces and great music and theatre. Merchant City also houses the Gala Casino which is a perfect addition to the exhaustive night out options the city has to provide. There is so much to do at Gala; visit the Air Lounge where you can watch live sport on plasma screens, try a game of slots in the Jackpot Zone which houses the latest £4000 jackpot slot machines and other electronic games, try one of the several card rooms that regularly hosts poker games or sit back, relax and be part of the action in the Coral Lounge where you can watch the very best in live sport from horse racing across the UK to every football match on Sky and Setanta. 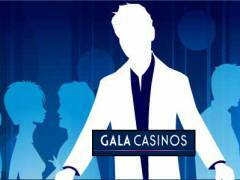 Gala offers the very best of games including American Roulette, Casino Stud Poker, Jackpot Stud Poker, Electronic Roulette, Three Card Poker, Punto Banco, Texas Holdem Bonus and more. The Chargrill restaurant is a great dining experience and the cocktails are a great value for your money with most drinks being priced under £4. No membership is required to play or dine at Gala though guests will be required to provide photo identification if they appear to be underage. The dress code is relaxed and casual and sportswear is not encouraged. Register for Fortune, the Gala loyalty program which is valid across all Gala Casinos in the UK. Earn points every time you spend on games, drink and food in any of the casinos and redeem them for a host of items including gift vouchers which can be used at more than 100 high street retail outlets. The Chargrill offers the best steaks in town and use only the best Aberdeen Angus beef that has been specially prepared to give you the ultimate flavour. The bar offers a great selection of wines, spirits and beer and the cocktails are a treat with many being priced under £4. Casino Magic is fun way to learn to play casino games, especially if you are in a group. The Casino Magic zone is relaxed with dealers who can teach you a trick or two to help you win. New members are offered a free bet on roulette when they join up. The casino hosts special events throughout the month so you always have something to look forward to. If it's live entertainment you are looking for, the Gala Casino is just the right place for you. You can watch all your favourite sports at Coral Lounge on the plasma screen and bet on the live action as it happens.